This entry was posted on Saturday, August 7th, 2010 at 4:52 pm and is filed under Rural Hazards, Wildlife. You can follow any responses to this entry through the RSS 2.0 feed. You can leave a response, or trackback from your own site. Damn, you mean those aren’t their real names? 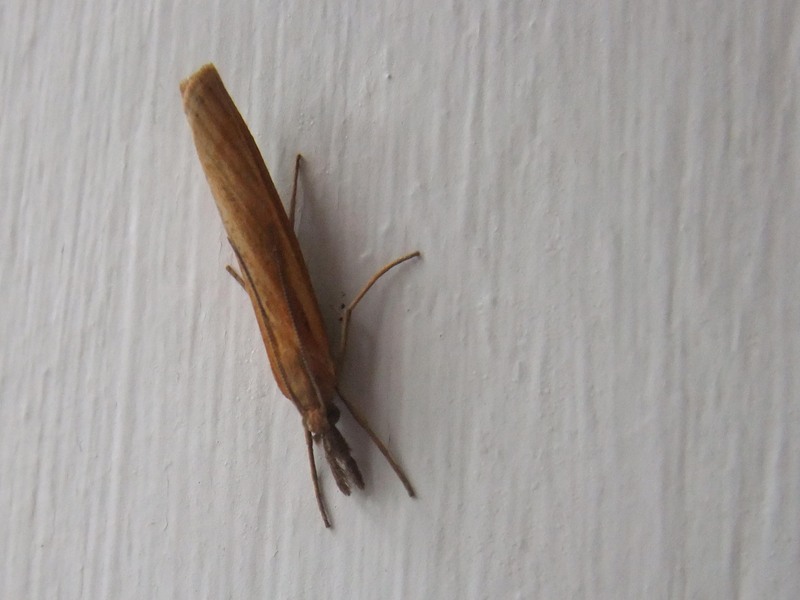 No 1 is a micro moth – looks like 1304 Agriphila Straminella. 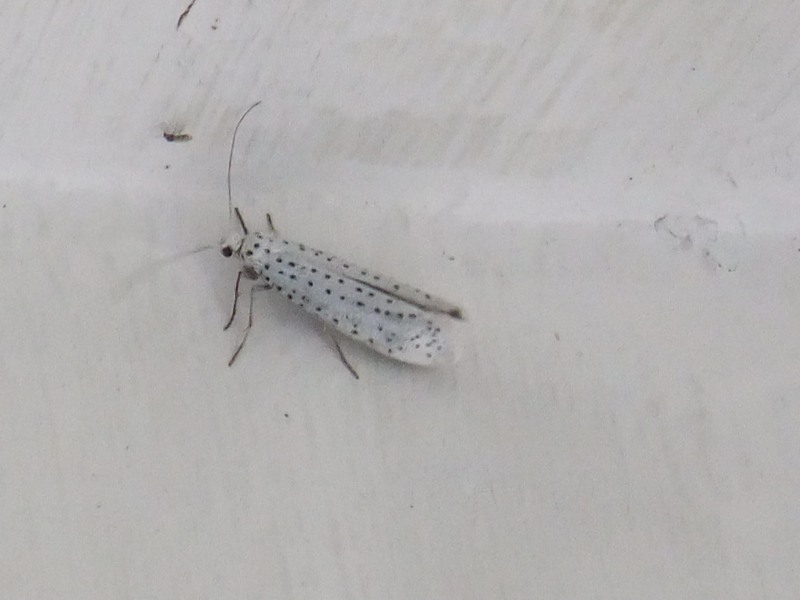 No 2 is a micro moth – looks like 0424 Bird-Cherry Ermine. 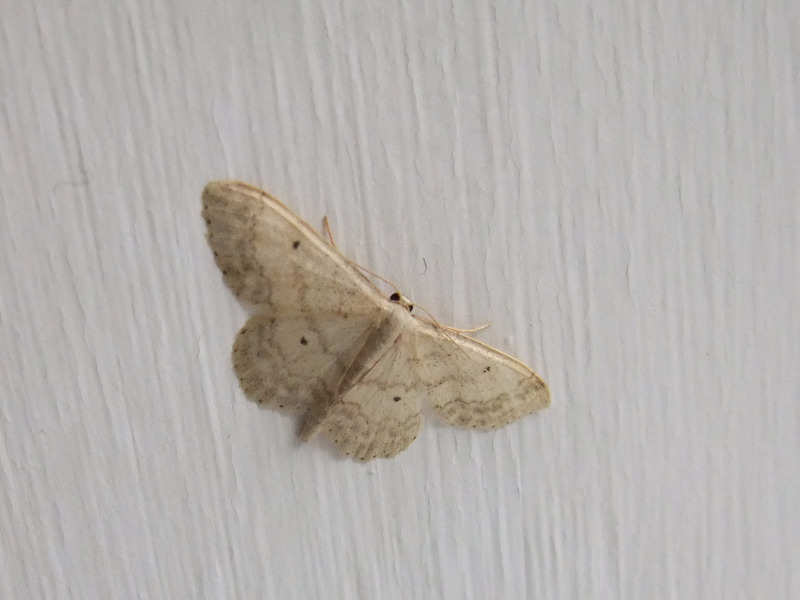 No 3 is a macro moth – looks like 1702 Small Fan-footed Wave. Although I think the top one is Apgriphila tristella, based on the pictures on UK moths.